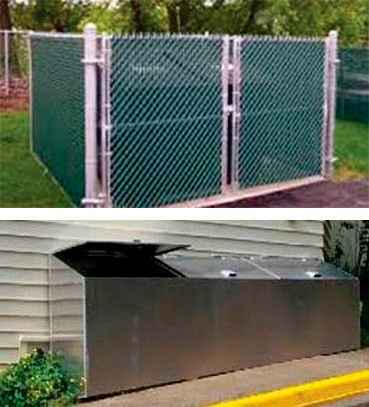 CITY – GATES can design, fabricate and install all types of trash enclosures for your commercial, industrial, retail and residential space. Our enclosures are available in all sizes and shapes to fit your requirements. They can be made from aluminum, chain link, iron, galvanized steel, stainless steel, expanded metal mesh, PVC, wood and TREX.